macOS comes with more software built in. Over on the Windows side of the fence, you do get basic email, calendar, and contacts clients as part of Windows 10, but that’s about it. Skype and Microsoft Edge are included too, and you get simple tools for photo, music, and movie management, but some of our favorite apps, like Windows Movie Maker, are no more, and Windows Media Player is woefully neglected. Both Apple and Microsoft have borrowed enough from each other over the last five-to-ten years (hello dark mode) that there are no big gaps here. I like the way windows can be snapped to the screen edge on Windows, and the way desktop icons can be automatically organized on macOS, but we’re talking minor rather than major differences. Apple’s ecosystem, which is tied down to Apple itself, or pricey partners, feel small by comparison. Yet the AirPlay-on-TVs deals we saw at CES and support for AirPlay on Sonos speakers seem like signs that Apple is looking to take a few bricks out of the wall around its garden going forward. That said, it’s fair to say Windows works with a bigger variety of kit than macOS does. If you don’t want to have everything you own crafted by a single company then Windows is for you. 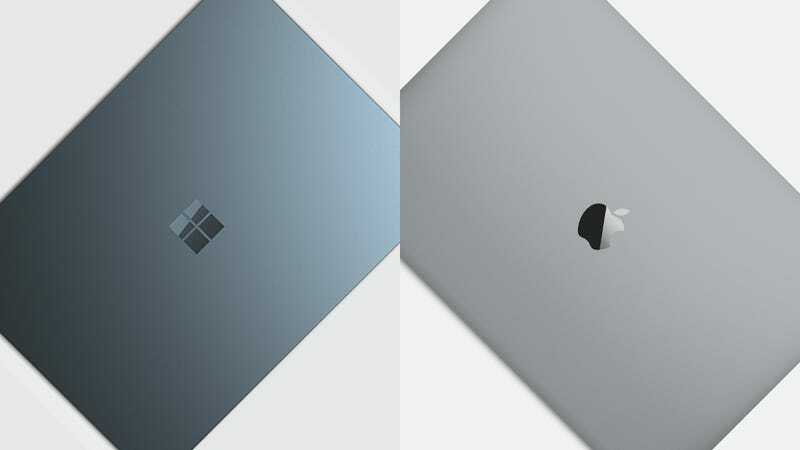 When it comes to the best value for your money Windows has traditionally had the edge and it remains the case: You’re not going to be able to pick up a $300 laptop running macOS. For students, casual users, and just about anyone on a budget, a cheap Windows machine makes more sense—especially when you consider our earlier point about a lot of modern-day computing being done through the web browser. Why it matters: Windows has a wider variety of hardware at a wider variety of price points. It’s simply cheaper, and for a lot of people cost trumps all—including Apple’s well-design hardware.